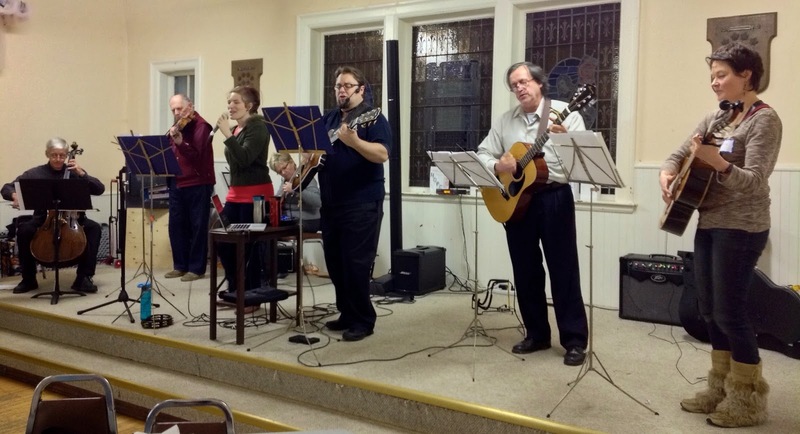 With a goal of introducing contemporary worship and expanding the music team, we had a full winter as as Musicians in Residence in St. Andrews, NB. One of the most powerful moments was the night we debuted the first ever worship band at All Saints Church. It was a success in all kinds of ways, but our favourite was the truly ecumenical make up of the group - our 8-piece band represented 5 churches and 3 denominations. Truly the 'family' of God! No matter how much pre-production you do, there's nothing as exciting as the first day in the studio. Hearing our amazing Nashville session players get their hands on our songs left us as giddy as kids in a candy store. We can't recommend this enough. If you visit Memphis, spend an afternoon at the Civil Rights Museum. You will be shaken and inspired by the generations of people who stood up for humanity. One of the best perks of a touring ministry - we were able to see friends in Nashville, Tennessee, Little Rock, Arkansas, and all across Canada's beautiful East Coast! After months of writing, recording, traveling, mixing, mastering, and the thousand other steps involved in making a CD, it was an amazing moment to open the boxes and actually hold the CDs in our hands. Our biggest tour to date! 9 weeks, 5 provinces, 8300 KM, and over 30 events, all filled with incredible moments and beautiful memories. We deliberately plan our concerts to be entertaining and welcoming to folks on all stages of their faith walk, but on more than one occasion this year, hearts opened and hands raised as a simple night of music turned into a powerful night of worship. We were so blessed by these amazing audiences! This year, we put a stronger focus on teaching our Workshops on Worship Leading and Creating Music For Worship, and creating opportunities to mentor singers, musicians, and songwriters. We felt blessed to share our skills, but more often than not, we were encouraged to see so many dedicated people using their talents for the Church. I had a "proud momma" moment every time we received a follow-up email letting us know how a worship band or choir was using their new skills on a Sunday morning. 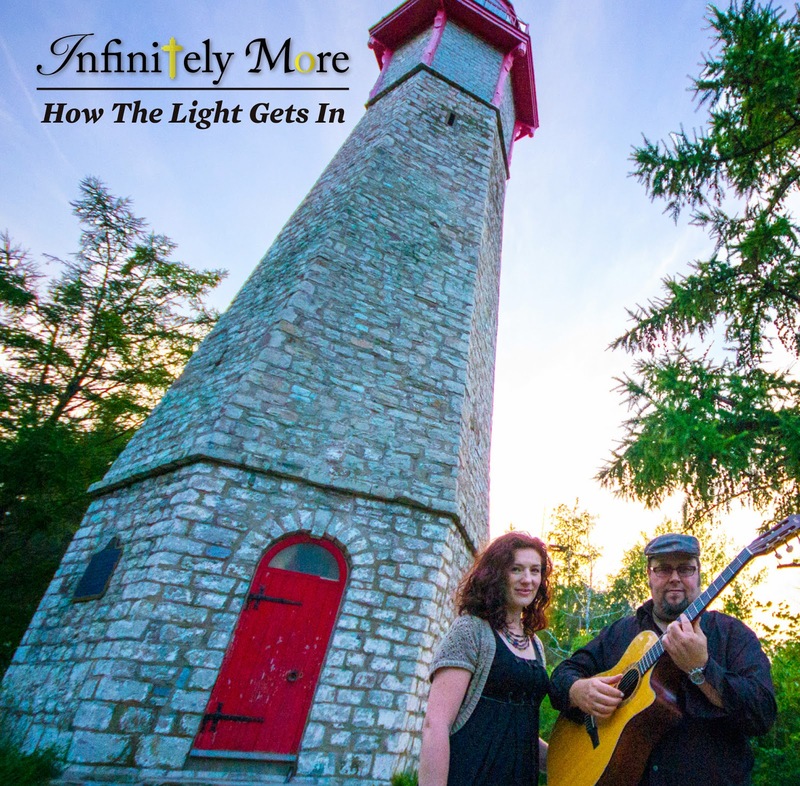 This Christmas, we released our first Infinitely More radio single - Tonight, Everywhere Is Bethlehem. It was awesome to imagine folks across the country listening to our song as part of their holiday celebrations. It was particularly exciting to get Facebook messages from friends saying "I just heard you on the radio!!!" What a year! We feel deeply called to the ministry of Infinitely More. It's a challenging path, but we can only do it with the love and support of each of you. Thank you for supporting our music and ministry by inviting us into your churches, purchasing CDs, attending our concerts, hosting us in your homes, keeping us in prayer, and joining us on this journey. and may 2015 bring you peace, love, faith, and joy!